AEO extends our deepest appreciation to Dave and Chalene Braun, parents of Kassie Braun for their very generous donation of $25,000 to AEO through the KassieKares organization. Remain Blessed ! African Education Outreach is a public nonprofit organization that seeks to create and maintain a quality, welcoming education K-12 campus in Nigeria with curricula relevant to the goals and aspirations of each student irrespective of faith, creed, tribe, ethnicity, or social status. To build, equip, recruit and staff new schools in Nigeria that meet the local standard and compete with international standards. 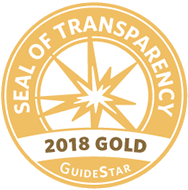 To identify local schools in African communities that are struggling and work with them to bring the schools to a standard that will compete nationally and internationally. AEO’s first school project is in Abakaliki, a community in the South-east of Nigeria. In the town of Abakaliki, many school age children, boys and girls, are still found “hawking” on the streets, a result of poverty and the lack of educational opportunities. Classroom block buildings constructed by the missionaries and the Nigerian government before and after the Nigerian civil war (1967-1970) remain dilapidated, often with blown off roofs. Children are left to study under the shade of nearby trees. Where intact buildings exist, the classrooms usually are not equipped with desks for students or with tables and chairs for teachers. Based on Nigeria’s 2010 Basic Education Profile, Nwakamma argues that there are fewest Early Childcare Development (ECD) centers in Ebonyi State compared to the other five Southeastern States. Our vision, in the face of these challenges, is to provide education to students who desire it. Thus, AEO chose the Abakaliki region for the development and construction of our first school, School Grades K – 12, because of the strong potential to improve educational opportunities for youth in and near Abakaliki, as well as youth in other areas of Nigeria. Abakaliki, like most towns in Nigeria, is growing rapidly. It has a population of 192,000 and is projected to reach 290,000 by 2040. By 2040, Ebonyi state is expected to increase from 2.5 million to a population of 4 million. In about 25 years, about 1.5 million youth in Ebonyi state alone will need education. This growth is also true of the neighboring Nigerian States; United Nations projects that Nigeria with a population of 177.5 million people will reach 300 million by 2040. This projected population growth underscores the urgent need to finance, build, and maintain additional schools for Nigerian youth. 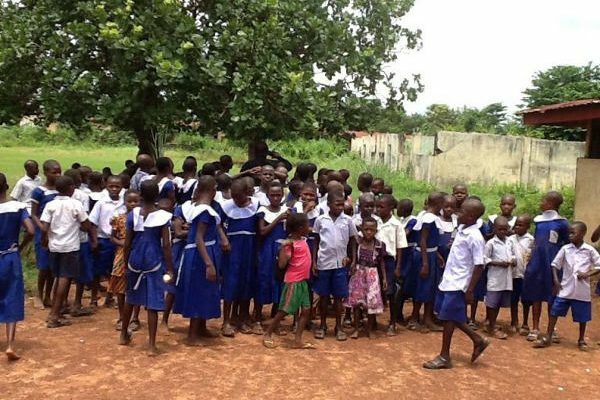 Without the existence of quality schools to take care of this growing population, families in Ebonyi State will continue to struggle to survive through subsistence agriculture, on soil that is hardly productive due to over use and abuse. There are youth on these farms today who cannot read or write, and live on the farms with their parents. They are unable to practice modern and mechanized farming because they lack the knowledge to do so. Without new educational opportunities, many of these youth will end up hawking on the streets to make a living, thus perpetuating the cycle of poverty. 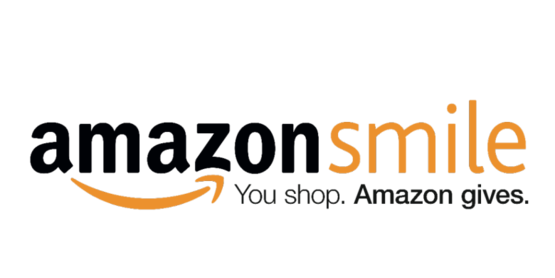 School Grades K – 12 will prepare students to graduate with basic entrepreneurial, technical and vocational skills necessary for agricultural, commercial and economic development. The school will prepare students to continue on to college and become trained manpower in the applied sciences, technology, business, and craft, thus become economically self-reliant. Because of the extraordinarily high dropout rate in Primary Schools, AEO will first build the Secondary School. Most children in this farming community, if they are sent to school, will usually drop out of school after their primary school. This is because their parents cannot afford the tuition to keep them in school beyond that level. We want to catch them before they drop out. These are the students we want to keep in school with scholarship. However, we will receive tuition from students who will come from outside the farming community of Abakaliki whose parents can afford to send to our school. There are many middle class families who are willing to send their children to the best school possible. 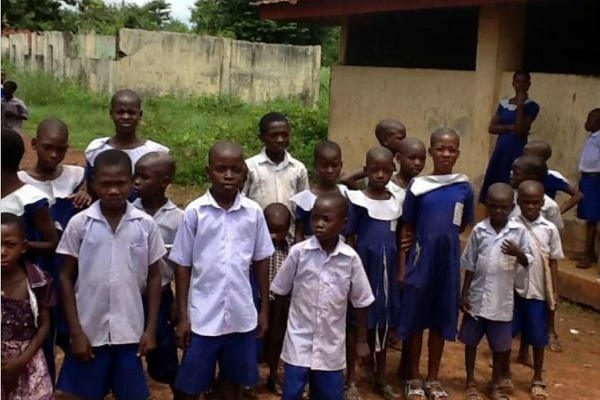 And because there are few quality schools in Abakaliki area, these parents currently send their children to the neighboring states of Enugu, Anambra and as far as Abuja, Delta and Lagos states. It is our hope that the school will take care of the needs of such families and attract students from other parts of the country and beyond. 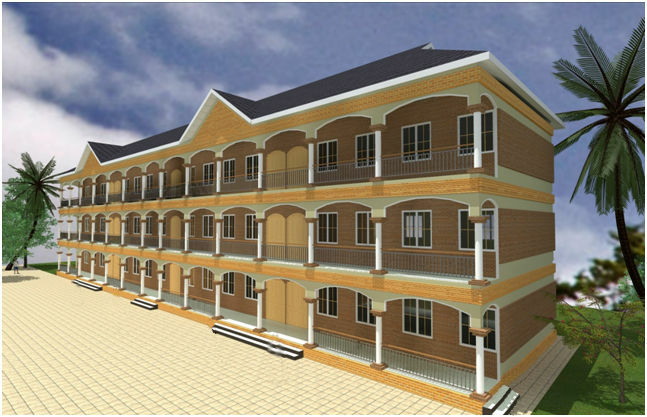 Our vision is to start the Primary Section of the School four years after the Secondary School. At full capacity, the primary school will have a total of 300 students, Kindergarten to 6th grade. 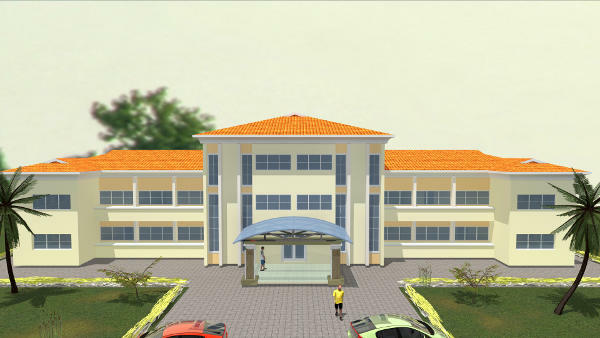 When the campus reaches full capacity, it will have 30 classrooms, a chapel, a convent for nuns, a rectory for priests, 16 or more apartments for teachers and staff, an administrative block, a multi-purpose hall, two libraries, a science lab, a computer lab, a home economics lab, a language lab, entrepreneur workshop, a sports pavilion, a well (borehole), power house/water treatment plant, water tanks; periphery fence around the property and a teaching farm. Affordable tuition will help sustain the school, moving forward. Students will prepare to attend college or to enter an agricultural or technical trade. Graduates will move on to be members of a new generation of African youth who will be leaders and problem-solvers in their communities. Having received a solid start and placed in a good position for success, some graduates will move on, we trust, to lead at the national and international levels. According to the United Nations, Nigeria with a population of about 177.5 million people is the most populous country in Africa and accounts for an estimated 47% of West Africa’s population. The population is expected to reach 300 million by 2040, roughly equivalent to the current US population but living on territory far smaller than the United States. Nigeria has a poverty headcount ratio of $1.90 a day, indicating that most Nigerian’s live at or below that income level. Thus, it is not surprising that the United Nations ranked Nigeria the 13th poorest nation in the world, with about 70% of the population living on approximately one dollar per day (UN, 2015). The World Bank has defined poverty as a state where an individual is not able to care adequately for his/her basic needs of food, clothing and shelter. Impoverished individuals are unable to meet social and economic obligations; they lack gainful employment, skills, assets and self-esteem, and they have limited access to social and economic infrastructures such as education, health, potable water, and sanitation. Consequently, the poor have limited chances of advancing to the full range of their capacities. The African Development Bank (1998) has argued that poverty alleviation can only be realized through sustained and broad-based economic growth that is complemented by efficient provision of social services such as education, health-care, clean water, sanitation, and nutrition. Education, according to the World Bank, is central to development and eradication of poverty. Education promotes economic growth, national productivity and innovation, and values of democracy and social cohesion. In Nigeria, most of the population has received no formal education, and they represent most of the nation’s poor. This is especially true of the population in Ebonyi State in southeastern Nigeria, where the school will be built and maintained. Ebonyi State is one of the thirty-six (36) States in the Federal Republic of Nigeria. The State was created out of the former Enugu and Abia States on October 1, 1996, under the military administration of Late Gen. Sanni Abacha. Ebonyi State is located in the southeastern region of Nigeria, bounded to the North by Benue State, to the West by Enugu State, to the East by Cross River State, and to the South by Abia State. Ebonyi State is endowed with abundant natural resources, and the agricultural potential is great. Over 85% of the population lives in the rural heartland. Yet the State needs agricultural development as well as development of water resources. Educational disparities are widespread. Most children have no access to a formal grade school, middle school, or high school. Ebonyi State has 13 Local Government Areas (LGAs), and the population was 2,176,947 according to the 2006 national census, with a growth rate of 3.5% per annum. The State has a weak health system. In 2006, life expectancy at birth in Ebonyi State was 46 years for females and 45 years for males. In 2006 the Infant Mortality Rate (IMR) was 191 per 1000; those pediatric mortality rates remain very high today. Ebonyi State has a Maternal Mortality Rate (MMR) of 602 per 100,000 populations, one of the highest MMRs in Nigeria. Available reports indicate that the underlying factors that account for the high MMR in Ebonyi State include poverty (especially in the rural areas), lack of education, cultural beliefs, inadequate health facilities, and unskilled birth attendants. In 2010, Nigeria’s National Bureau of Statics reported that about 73.6% of Ebonyi natives are poor. The State has no safe water or good sanitation. Sources of drinking water are often from shallow open wells or from contaminated rivers and ponds. Many Ebonyi people are illiterate, social amenities are lacking, and industries are nonexistent. Agriculture is the mainstay of the people of Ebonyi State with more than 75% of the population engaged in subsistence farming and related activities. The farmers cultivate yams, rice, maize, and cassava and other crops in large quantities and these bring income to the people and the State. The state is also endowed with many natural resources and solid mineral deposits. Mining activities have been going on in some parts of the state for more than eighty years following the discovery of large deposits of limestone, copper, coal and lignite, lead and zinc ores, and other associated mineral deposits like barites and salt. The advent of the oil boom in the country in the 1970s adversely affected the growth and development of almost every other sector in Nigeria, particularly the mining and agricultural sectors. Hence Abakaliki was left behind in the boom; the mining of Limestone and the cement industry closed. And because it was cheaper to import food produce, farmers did not receive any incentives to farm. This was a huge setback to the economy of Ebonyi state and Abakaliki town. Ebonyi State compared to the other 36 States in Nigeria, ranks 34th within the Federation for Gross National Product (GDP). In Ebonyi State, the GDP in US dollars is $21,732 versus Lagos State, which has the highest GDP in US dollars, $741,674. The economic disparities in Ebonyi State are paralleled by resurgence in preventable diseases such as malaria, tuberculosis, sexually transmitted diseases (STD), HIV/AIDS, Guinea worm, cholera, meningitis, and diabetes. 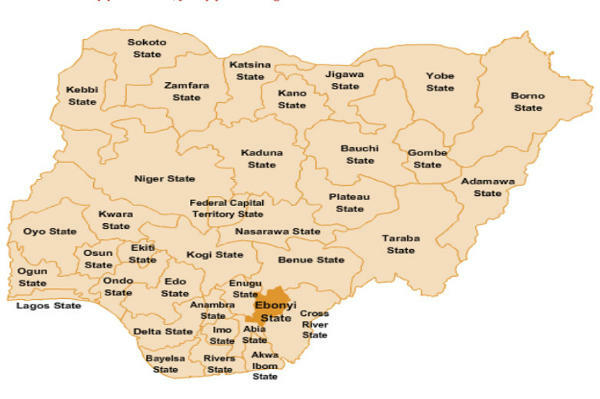 Ebonyi State in Southeastern Nigeria lies between latitudes 060 05’ N and 060 25’ N and longitudes 0080 00’ E and 0080 18’ E. Much of the area is gently undulating terrain that lies within the Ebonyi River Basin and the Cross river plains. In some isolated sub- areas, however, the topography is rugged. Two climactic seasons affect the region: the rainy season (late April-October), and the dry season (November-April). Mean annual rainfall is 40 to 80 inches, and mean monthly rainfall varies from 2 to 11 inches, with August, typically the wettest month, having 7 to 8 inch of rain. Records show a mean annual temperature of 88 degrees Fahrenheit, ranging from 91.5 F in the dry season to 82.4 F in the wet season. Other minor climatic distinctions are the short dry season known as “August break.” From November to February, the Harmattan trade winds from across the Sahara bring dust storms to Nigeria. Water plays a major role in livelihood (healthcare, poverty and environment) hence its shortage is always a severe problem to mankind. Development of water resources is thus a major factor for economic growth as well as human and environmental health, and poverty reduction. Although there is hardly any new building project in Nigeria without a water-related provision, water insecurity is still a limiting factor to achieving the United Nations Millennium Development Goals (MDGs) in Nigeria for agricultural food production, improved health, and general environmental sustainability. The main source of water for Abakaliki is rain water, particularly in rural areas. In the dry season, however, even rain water is not available. Most surface sources dry up, leaving pockets of water at points along the channels. Also, the water table drops well below exploitable depths in boreholes (hand dug wells). During the dry season, sources of drinking water are often contaminated shallow wells or contaminated rivers and ponds. There is a high incidence of gastrointestinal diseases causing diarrhea that can lead to dehydration, especially in children and the elderly. Resurgent infections also are associated with severe water shortages. In addition to meeting the educational needs of Nigerian youth, the School will contribute to the development of sustainable resources to improve the health and quality of life for Nigerian youth and families within and beyond Ebonyi State. Designed and built with green architecture, the school near Abakaliki will be a model for the sustainable development and use of potable water, as well as solar energy, arable land, and other resources, which could contribute to increased GDP for the region and new efforts to improve maternal and child health. Economically, Nigeria is among Africa’s most promising nations, yet it remains among the poorest countries in the world. Financial investments are needed to diversify and grow the nation’s economy (away from a primarily oil based economy) and to create new jobs in agriculture, commerce, healthcare, education, and other occupations. New and well equipped primary and Secondary Schools are necessary to prepare Nigerian youth for those future jobs, to help improve the quality of life for Nigerian families and communities, and to advance the economic development of Africa’s most populous country. Each of those challenges underscores the need for the school. The school’s mission is to create and maintain a quality, welcoming educational K-12 campus in Nigeria with curricula relevant to the goals and aspirations of each student irrespective of faith, creed, tribe, ethnicity, or social status. 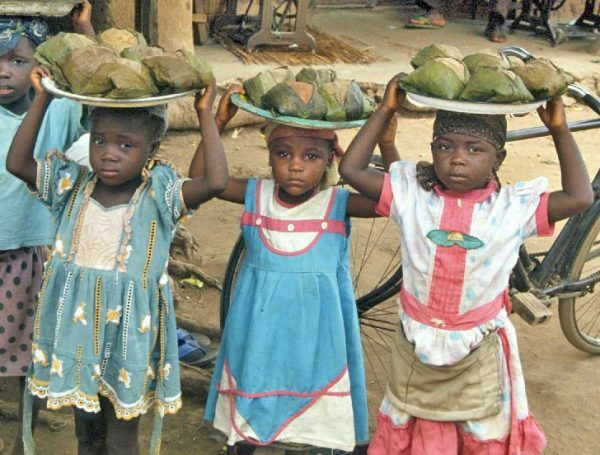 Child labour remains a major source of concern in Nigeria, in spite of legislative measures. Child labour is defined as work that is mentally, physically, socially or morally dangerous and harmful to children and deprives them of opportunities for schooling and development. According to the International Labour Organization, the number of working children under the age of 14 in Nigeria is estimated at 15 million. The high level of diverse and tedious jobs that children execute in dangerous circumstances is particularly worrying. These jobs include being street vendors, beggars, car washers or watchers and shoe shiners. Others work as apprentice mechanics, hairdressers and bus conductors while a large number work as domestic servants and farm hands. Research also shows that child workers display poor educational achievements. Girls start working at an earlier age than boys, particularly in the rural areas. They also suffer the triple burden of housework, school work and work out of home whether paid or unpaid. One of the most common practices is the use of children as child domestics – especially girls. Major causes of child labour are widespread poverty, rapid urbanization, breakdown in extended family affiliations, high school dropout rates, and lack of enforcement of legal instruments meant to protect children. Traditionally, children have worked with their families, but today children are forced to work for their own and their family’s survival. The money earned by child family members has become a significant part of poor families’ income. 2) Nwakamma Michael Chibuzor, International Journal of Humanities and Social Science Vol. 5, No. 2; February 2015, P. 23. 3) Early Childcare Development centers (ECD) refers to pre-primary education centers as Day care centers and Kindergartens. 6) “Approaches for Poverty Alleviation and Sustainable Development in Nigeria: A Study of Ebonyi State Community Based Poverty Reduction Agency (EB-CPRA),” by Nkwede Joseph O., in (International Journal of Social Science Studies Vol. 2, No. 1; 2014). 7) Chukwu, E.O. (2012). 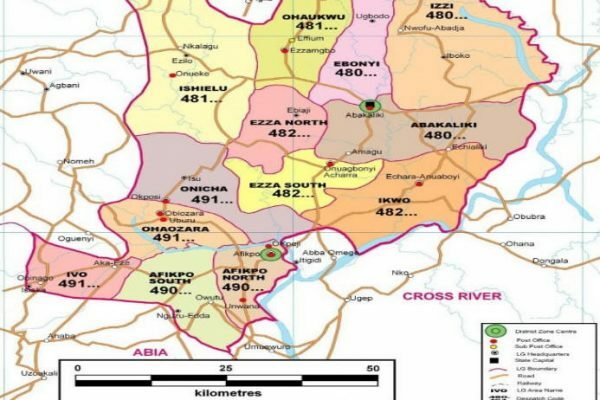 “Estimates of Rural Poverty Level and Income Distribution in Ebonyi State of Nigeria”. Nigerian Journal of Agriculture, Food and Environment (NJAFE), 8(3), pp. 52-61. 9) National Bureau of Statistics (2010). Nigeria Poverty Profile: The Harmonized Nigeria Living Standard Survey. 10) Approaches for Poverty Alleviation and Sustainable Development in Nigeria: A Study of Ebonyi State Community Based Poverty Reduction Agency (EB-CPRA),” by Nkwede Joseph O., in (International Journal of Social Science Studies Vol. 2, No. 1; 2014, pp. 157-158. 12) An Aspect of Water Distress Level Evaluation in Abakaliki Area and Environs Southeast Nigeria. Rock Onwe Mkpuma, Nwankwo G. I., Ahiarakwem C. A. Quality Assessment of Selected Groundwater Samples In Amike – Aba, Abakaliki Ebonyi State, Nigeria.